NAIROBI, Kenya (Morning Star News) – Three church buildings were set ablaze on Tuesday (Sept. 22) in an area of northwestern Tanzania where Muslim extremists have issued threats, pastors said. A pastor of one of the three churches whose buildings were gutted, Vedasto Athanas of Living Water International church, said area Christians are worried and frightened as such attacks have increased each of the past few years. Also burned were the buildings of the Pentecostal Assemblies of God and the Evangelical Assemblies of God; all three churches are located in the Kashfa village area of Bukoba District, church leaders said. Living Waters’ congregation numbers about 350, the Pentecostal Assemblies of God has 300 members and the Evangelical Assemblies of God Tanzania has 200. One point of contention, according to church leaders, has to do with animal slaughter. Muslim extremists in the area have objected to Christians slaughtering animals, an act they consider forbidden for non-Muslims. Kagera Region is known as an area where traditional animist and spiritist practices include ritual execution and removal of human organs. The shamans who lead them have blocked the spread of Christianity, and they instill fear as they kill boys to remove their sexual organs for their religious rituals, but they are not suspected in the church burnings, a source said. Another church leader, who requested anonymity, said authorities have refused to grant local churches permission to construct worship centers on the pretext that lands are designated only as residential areas. “We do request for prayers at this difficult moment,” Athanas said. Tanzania’s Muslims, 31 percent of the total population, are largely tolerant but have become increasingly polarized between moderates and extremists, according to Operation World. Christians make up 54 percent of the country’s population. 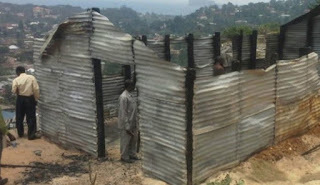 In eastern Tanzania in Tanga Region, a church building in Mashewa, Muheza District was set fire on Jan. 20. In the same district in Zirai, a predominantly Muslim area, a young woman who had left Islam and married a Christian was beaten and badly burned by her parents on Nov. 2, 2014. In October 2012, Islamists burned several church buildings in various parts of Tanzania after two children’s argument about the Koran resulted in a Christian boy allegedly defiling Islam’s sacred book.